The face of Ottawa has changed and is changing — and marching along with it is GEM Health Care Services. 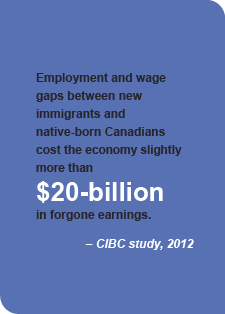 In the next couple of years, the net growth of our city’s labour force will come from immigrants, but GEM has already seen its own workforce change since the company began just over 16 years ago. An example of GEM’s commitment to building diversity in its workforce is the story of Asli Ahmed. 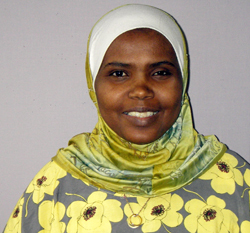 An immigrant from Somalia, Asli was working in a series of temporary jobs before coming to GEM Health Care. She started as a Personal Support Worker (PSW) with GEM. Her employer recognized and appreciated the skills and strong work ethic she brought to the workplace, and offered her a role with more responsibility as a coordinator at the head office. When Asli decided she wanted to upgrade her nursing skills, she enrolled at St. Lawrence College in Brockville. Undaunted by the long commute or the challenge, Asli continued to work part-time in the evenings and weekends, while being a full time mother and going to school during the week. Her hard work and determination paid off. Today, she’s a Registered Practical Nurse for GEM Health Care. She now trains other PSWs, passing on her experience and knowledge from when she was working in that role. Asli has come full circle in her career. For Asli, GEM is the perfect employer. The company gave her the flexibility she needed to continue her studies and achieve her career goals, accommodated her work schedule, offered language training — in short, everything it could to recognize her potential as an employee. “GEM has given me many opportunities to build my career — and the chance to work for them on my terms,” says Asli. For Asli, who is a Muslim, it is also important that any employer she works for be sensitive to the different faiths and cultural needs of its employees. “GEM is aware of the cultural accommodation needed at the workplace — and is very flexible when it comes to giving employees time off to observe their faiths and culture,” she says. 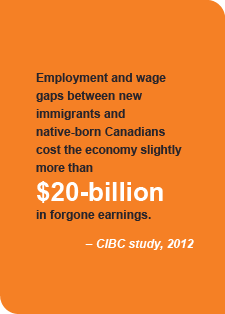 GEM’s open-door policy means more than just welcoming immigrants to apply for jobs. It actually goes out of its way to help its employees integrate into the workplace and the community — by offering English and French classes; by helping them prepare for the PSW program; by offering financial assistance to employees who wish to further their nursing credentials through an educational bursary; and by continually adapting its workplace practice to accommodate its employees’ cultural and faith needs. This includes flexible hours for staff so they can observe religious holidays and holding monthly cultural exchange sessions so employees can discuss their own integration experiences. For GEM, the benefits of this kind of support are two-fold. The employees get a helping hand and GEM gets happy and productive employees. This has translated into bottom-line results for GEM. And, many of the employees are almost exclusively recruited by word of mouth from other employees. Over the years, GEM has rarely had to advertise for staff. Another bonus to employing immigrants from all faiths and backgrounds is that GEM can increasingly cater to a diverse client base — where its clients can receive care from staff who come from the same culture and speak the same language. Diversity has also helped GEM explore business expansion opportunities with potential franchise clients from overseas. 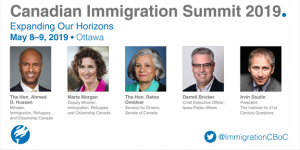 For its outstanding practices in the recruitment of skilled immigrants, GEM received a 2008 Employer Excellence Award from Hire Immigrants Ottawa. GEM Health Care Services is a member of HIO¬’s Employer Council of Champions and its Health Sector Working Group.